Melting copper can be useful for various types of home crafts. For example, you can use melted copper wires to create intricate wall hangings or you can form the metal into original jewelry pieces. Before you can create these masterpieces, you need to get the copper hot enough to melt. This can involve building a fire. 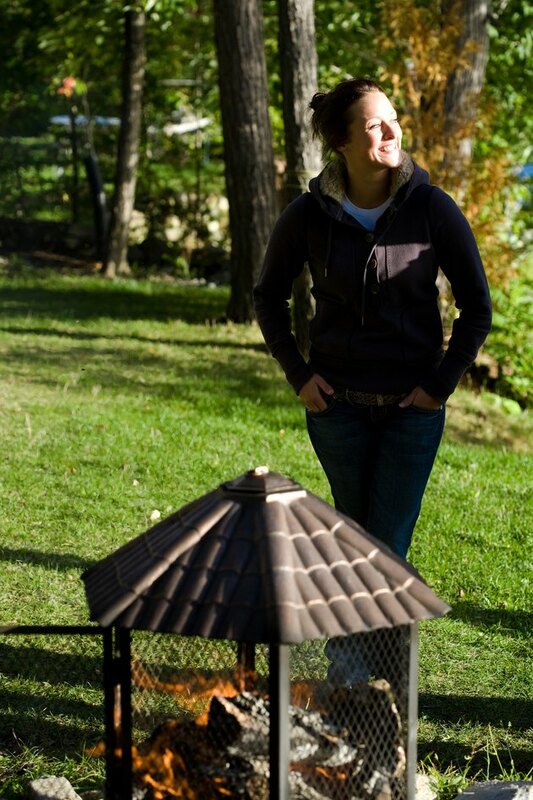 You can build a simple fire in your backyard that will get hot enough to melt a softer metal like copper. A simple fire can be used to complete metalwork. Place a fire starter in the center of your fire pit. This can be a fire-starter log, fire-igniting gel or a burnable material like charcoal. Stack dry firewood around the fire to create a square. Stagger the wood so that the base is two pieces opposite each other and the next layer is two more pieces resting the opposite way on top of the first two. These spaces allow oxygen to feed the fire. Use a match to light the fire starter. Create a steady fire that will burn for about 30 minutes, until the firewood is lit. Feed the fire with small amounts of newspaper to transfer it from the fire starter to the firewood, if necessary. Move the fire periodically to introduce oxygen to feed it and add new wood as necessary. Use a fire poker and keep moving the wood and coals around to keep the fire going. Maintain the fire to ensure that you have plenty of time to melt the copper.